This combined print and digital title provides 100% coverage of the Australian Curriculum for Geography. 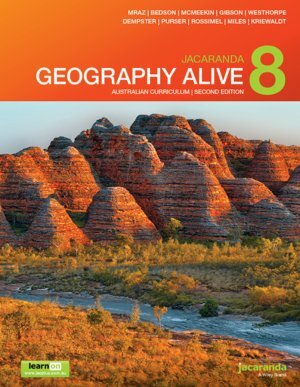 To complement the Geography Alive series, Jacaranda Atlas 9e and MyWorld Atlas (digital) is available for Years 7-10. 3.13 Which landscapes are formed by ice?